The University is committed to using its resources efficiently and email is a cost-effective means of communication. This policy establishes email as the University’s official means of communication with students and sets forth obligations members of the University community have regarding email use for this purpose. Communications that include content related to a student’s enrollment, financial responsibilities, and compliance with University policies and procedures, including the policies and procedures of the University's Honor and Judiciary committees. The address to which the University sends official email notifications. These addresses are created for students within a few days of the University receiving their admission deposits. They are formatted as UVa computing ID @virginia.edu (e.g., mst3k@virginia.edu). Email is the official means for communication with every University student regardless of year or enrollment status. The University will send official communications to enrolled students by email using their primary email addresses. Students are expected to open and read those communications in a timely fashion. Information Technology Services (ITS) assigns each enrolled student a primary email address. The University will list a student’s primary email address in the University’s Directory. 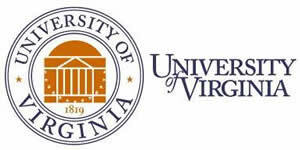 Students may use the UVA Email Address Management System to specify the email service to which messages sent to their primary email address will be delivered. In making these delivery choices, students are responsible for selecting the email service(s) they most frequently use to ensure they receive and read official University communications in a timely manner. Students are expected to check their official email addresses on a frequent and consistent basis to remain informed of University communications, as certain communications may be time sensitive. Students who fail to check their email on a regular basis are responsible for any resulting consequences. Faculty will determine how email or other means of electronic communication will be used in their classes. Faculty can expect students to read messages sent to their primary email addresses in a timely manner. Email must not be used to communicate highly sensitive data as defined in the policy IRM-015, Electronic Storage of Highly Sensitive Data. Emails must comply with relevant federal and state laws, as well as University policies, including those governing public computing resources, security considerations, and ethics in computing. See the Related Information section for key law and policy references. Email shall not be the sole method for notification where another method of communication is required by law. The Gramm-Leach-Bliley Act (“GLBA”) 15 U.S.C §6801 et seq, and implementing regulations issued by the Federal Trade Commission including Standards for Safeguarding Customer Information (the "Safeguards Rule”), 16 CFR Part 314; and The Privacy Act of 1974, 5 U.S.C. § 552a (2000).